There are a range of smoke detectors on the market. Each one is slightly different and fulfils different roles. Be sure to purchase and correctly install the right one for your home. Not forgetting to regularly test them or replace the batteries to make sure that they continue to provide an audible warning. These are often the cheapest smoke detectors, so if budget is important this might be the best one to purchase. They contain a very small amount of radioactive material held between two electrically charged places, that ionise the air and cause current to flow between the two plates. These two plates are very sensitive to the small particles of smoke produced by fast flaming e.g. paper, wood. They detect this type of fire before the smoke gets too thick. Ionisation smoke detectors are slightly less sensitive to slow burning and smouldering fires, which tend to give off larger quantities of smoke. Optical fire detectors are more expensive. They work by aiming a light source into a sensing chamber at an angle away from the sensor. During a fire, smoke will enter the chamber, which then reflects the light onto the light sensor which in turn triggers the alarm. Optical detectors are more effective at detecting larger particles of smoke that start with a long periods of smouldering e.g. Foam / upholstery, PVC wiring. However, they are less sensitive for fast flaming fires. These detectors use both the Ionisation and optical methods of detecting fires sourced from slow burning / smouldering fires as well as fast flaming fires. The best of the two technologies available on the market today. Battery powered smoke alarms require a change of battery every 12 months. However, some smoke alarms are now sold with a sealed fitted battery that lasts 10 years. This eliminates the problem of checking and changing the battery each year. Experts suggest that you have a battery backup alarm to be on the safe side. These types of alarms combine the two essential alarms into one Optical Smoke Alarms and also Carbon Monoxide detection. It reduces costs and maintenance. Which Alarms should I chose? Experts advise that each house has a number of different alarms;one to detect fast flames and another for smouldering flames with a combination of battery and power supply. A Carbon Monoxide detector is a must if gas fired central heating is installed in a home. Remember to only purchase alarms and detectors that comply with the BSI standard. Look out for this symbol. If you are in any doubt as to which one is right for you we suggest contacting your local fire station for more information. Being the owner of a home that has fireplaces and chimney stacks, sometimes has a few downfalls. One thing that can happen, is a bird flying down your chimney flue. There are no written manuals to tell you what to do and each situation is different. Hopefully this might help you pick the right solution to help the bird (or animal) that may be stuck down your chimney. First instincts may be to light a fire and smoke them out of your chimney but this is cruel and could kill the animal which could leave you with a blocked chimney flu and the smell of a decomposing animal. There are a number of alternative ways that you can do to try and get them out. If a bird (or animal) has decided that your chimney is the ideal place to make their nest, it will be because, in their minds it is a warm, dry and safe place. This might not be ideal for you in the short term and you may decide that they need to move on. A proven technique has been to play loud music into the chimney flue and leave a bright light shining up your chimney for a couple of days. Hopefully the animal will chose to leave of its own accord. Once a bird has fallen down your chimney flue, it is really hard for them to turn and fly upwards in such a confined space. They become distressed and flustered very quickly. If possible it is best to get them to come all the way to the bottom of the chimney into the hearth and coax them out through the window or door. Failing that, it is better to put them in a box and either release them to the wild again or take, if injured, to your local RSPB. Once you have managed to get the bird or animal from your chimney, it might be worth thinking about putting a cap on the top of your chimney or chimney pot. This should stop unwanted birds and animals inadvertently entering. Your local chimney sweep or roofing contractor will be able to recommend the best type for your home. Your local chimney sweep or wildlife expert can always be a sensible port of call. They are used to dealing with such issues on a weekly basis, especially during the nesting season. These experts have the right equipment to help get the bird out of the chimney with the least amount of distress to all parties concerned. If you have any of your own top tips for removing birds from your chimney then we would love to hear them! Please share to our Facebook page, tweet us or send us an email. At Zip™, we take fire safety very seriously, and are often asked for advice on a number of wide ranking topics such as whether a chimney needs sweeping or how a fireguard should be used. To make it easier, we have collated our most frequently asked questions. Many insurance companies now insist on proof of sweeping by a certified chimney sweep and it is also worth checking the details of your insurance policy to ensure you will be covered in the event of a claim. Q: How can I prevent build-up of creosote and tars in my chimney? A: To help ensure that your chimney remains clean of all residues, use only dry wood and have your chimney swept on a regular basis. 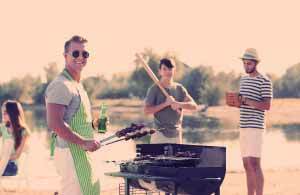 Using wet or damp wood or turf can lead to a build-up of creosote and tar, which needs to be removed. Burning a hot fire can also ignite residues and cause a chimney fire. Why not try Zip™ Soot reducer? Q: Where should I store my firelighters and fuel? A: Firelighters should be kept away from the close surroundings of a fire in a cool and dry place. Many fire makers store them next to the fire on the hearth for convenience but, this is a fire risk. We advise to keep our firelighters in a metal tin and away from food. Wood, coal and peat should be stored in a dry place with good ventilation so that any dampness can quickly be evaporated to leave dry fuel. The wetter the fuel the harder it will be to light. Q: What fuel is suitable for my stove? A: Always be guided by your manufacturer’s recommendations. 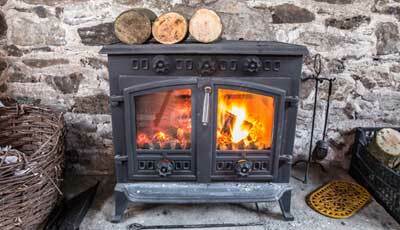 A: For open fires the chimney should provide enough air to help ’draw the fire’. However, for closed appliances like wood burners and stoves, there needs to be an an adequate flow of air, to allow them to burn correctly. Ensure that your rooms with fires in are well ventilated with fresh air. Sometimes a little draft from outside increases the performance of a fire and sometimes the wind direction moving over the chimney pot can aid air flow. However, fires are generally worse performing on windy days when the wind tends to blow down the chimney. If you have double glazing or draught proofing, you might want to consider fitting an air duct to allow fresh air to enter your room. Q: What precautions should I take to ensure that my fire does not produce harmful gasses? Ensure all chimneys are cleaned regularly and are kept clear of any obstructions. Make sure stoves and appliances are professionally installed and that the doors are sealed properly. Never block vents or air bricks. Q: How often do I need to remove the ash from my fire? A: A build-up of ash may damage your appliance, so it is important that you remove any ash before each new fire. Allow the ash to cool before cleaning out (ideally overnight). 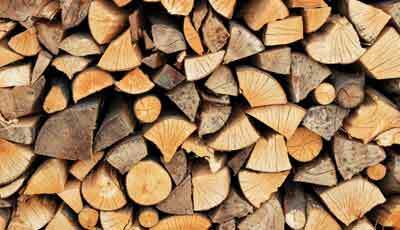 If the ash is from wood logs then it would be possible to use it in your garden as a form of fertiliser. It contains 13 essential nutrients for good plant growth. It also helps to maintain a neutral soil condition. Q: When should I use a fireguard? A: Zip™ recommends using a fireguard with any open fire. Never leave an open fire unattended without placing a fireguard in front of the fire. Make sure that the fireguard is fireproof and not made of any flammable materials such as plastic or fabric. Always place a fire guard over any appliance where indoor pets and small children are able to touch or put their hands near. Log burning stoves heat up to high temperatures and the glass also becomes extremely hot and can cause serious burning and blistering. Potato peelings and acorns help prevent creosote build-up in the chimney. Save your potato skins and collect the acorns in the autumn. Just a hand full, thrown on top of a burning fire can help to keep your chimney in good shape. Use fire ash to clean ashes. To clean stove or closed fireplace glass door, simply dampen some newspaper and dip into some cold weed ashes. Rub gently until all the creosote comes off. Repeat if necessary until the glass is clean. Wipe clean with a damp cloth. White, distilled vinegar is an effective, money saving and non-toxic way of cleaning your hearthstone fireplace. Simply pour the vinegar directly from the bottle or use a spray bottle to get into the crevices. Allow the vinegar to sit for a few minutes, then scrub with an old toothbrush. Wipe clean with a damp cloth. It will be gleaming in no time at all. Use coffee grounds added to the ash in your fireplace to help limit the amount of dirt billowing up when cleaning. Don’t forget to place newspaper or protective sheeting when cleaning out the hearth to prevent flooring getting marked or stained. If you have brick or stone in your fireplace that has soot stuck on it, you can clean it up with minimal effort. All you have to do is use salt. Carefully throw in a few tablespoons of salt into a roaring fire and watch as the soot stains on your brick or stone fireplace go up in smoke. This works as the salt helps loosen the soot as it burns. The soot will soon move up the chimney with all the rest of the smoke. If you have any more interesting facts that you would like to share then please get in touch! Tweet us, write on our Facebook wall or send us an email. 1. Fire is an event, not a thing. Heating wood or other fuel releases volatile vapours that can rapidly combust with oxygen in the air; the resulting incandescent bloom of gas further heats the fuel, releasing more vapours and perpetuating the cycle. 2. Earth is the only known planet where fire can burn. Everywhere else: Not enough oxygen. 3. Oxygen supply influences the colour of the flame. A low-oxygen fire contains lots of un-combusted fuel particles and will give off a yellow glow. A high-oxygen fire burns blue. 4. So candle flames are blue at the bottom because that’s where they take up fresh air, and yellow at the top because the rising fumes from below partly suffocate the upper part of the flame. 5. Conversely, the more oxygen, the hotter the fire. Air is 21 percent oxygen; combine pure oxygen with acetylene, a chemical relative of methane, and you get an oxyacetylene welding torch that burns at over 5,500 degrees Fahrenheit—the hottest fire you are likely to encounter. 6. The 1666 Great Fire of London destroyed 80 percent of the city but also ended an outbreak of bubonic plague that had killed more than 65,000 people the previous year. The fire fried the rats and fleas that carried Yersinia pestis, the plague-causing bacterium. If you have any of your own top tips for Fun Facts About Fires then we would love to hear them! Please share to our Facebook page, tweet us or send us an email. 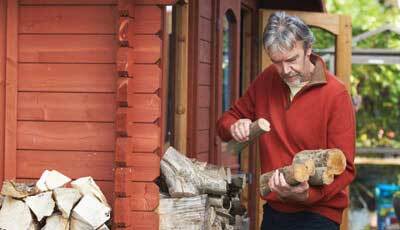 It is always better to put two or three logs on your fire at any one time, not only will it give you a great feel of warmth and ambience, there is a little science behind it too. One single log in a fireplace grate will more than likely die out. The reason for this is that the burning of the wood log fibres happens in stages, and one single log is not able to keep the process or momentum of burning going by itself. More logs have a combined bigger burning surface, which in turn create air and flame turbulence that keeps the burning process going. That is why at the end of the evening, that last log in the grate just sits there, charred and lonely. If you have any of your own top tips for One Lonely Log then we would love to hear them! Please share to our Facebook page, tweet us or send us an email.